Say hello to the Hokkaido Baked Cheese Tart. We know. We've all done it. Home alone with a block of cheddar, a few scraps of brie and a lone Kraft Single. It all seemed so promising. When your mum/housemate/significant other returned, though, the truth became apparent. You'd made a cheese quagmire in your microwave, hadn't you? Hadn't you. Fortunately, the guys behind PappaRich, the ST Group, are now getting set to help you realise all of your cheese dreams without the weird kitchen smell three weeks later — they're bringing Malaysian chain Hokkaido Baked Cheese Tart to New Zealand for the first time. 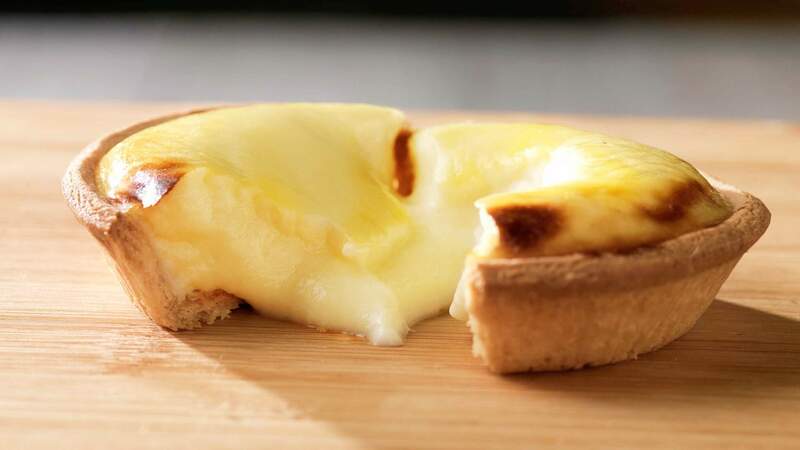 With multiple stores in Kuala Lumpur and other areas of the country, the cheese tart connoisseurs will open one store in Auckland at 350 Queen Street. It follows five openings in Australian last year throughout Melbourne, Sydney and Perth. Their namesake is the cornerstone of their offering: a savoury-sweet three-cheese situation encased in a shortcrust shell, designed to be eaten either hot or cold. The cheese, while made with local produce, is based on the distinct taste and texture of the dairy products of Hokkaido. The Japanese island is known for their dairy — it produces half of Japan's total milk and a huge 90 percent of their natural cheese — and HBCT have worked tirelessly to replicate it. Malaysia has gone nuts for it; people have been queuing out the door to get their hands on one (or 12). For those of you interested in more than just shovelling ludicrous amounts of cheese and pastry down, the tarts themselves will apparently be "displayed like precious gems, much like an elegant high-end jewellery shop". We're waiting for a self-serve option that makes you feel like you're committing a diamond heist. Hokkaido Baked Cheese Tart will launch Friday 18 August at Shop 5, 350 Queen Street, CBD. Two hundred tarts will be given away to the first customers. For more info, keep an eye on their Facebook page.